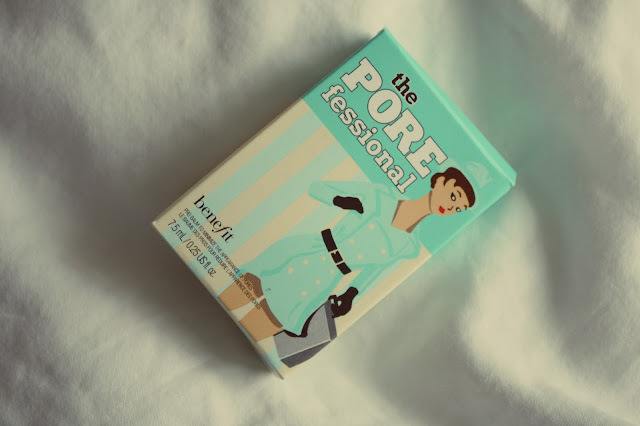 Okay, so you've all probably seen your dashboards filled with us beauty bloggers' posting about the Benefit freebies that came with the most recent edition of Glamour magazine -- I'm joining everybody and leaving you with a little review of Benefit's 'The POREFessional'. With this month's magazine, there was a choice of three products: 'Bad Gal' mascara, 'That Gal' primer, and the pore minimiser that I have featured in this post. I have already used the 'BG' mascara in the past, but I always swear by my L'Oreal Lash Architect mascara, so I gave that freebie a miss. I hadn't really heard so many reviews about the primer as I had for the pore minimiser, so I picked up this one in the hope that I could trust the beauty bloggers' rave reviews. For starters, I absolutely love the packaging of 'TPF' with the very vintage looking pattern and illustration (sucker for good packaging as always). I was also drawn in by the normal price tag of this product -- for 22.0ml, this product retails at around £23.50 (a little too pricey for a bargain-hunter like me), so this 7.5ml tube was an absolute steal at only £2 for the price of the magazine! 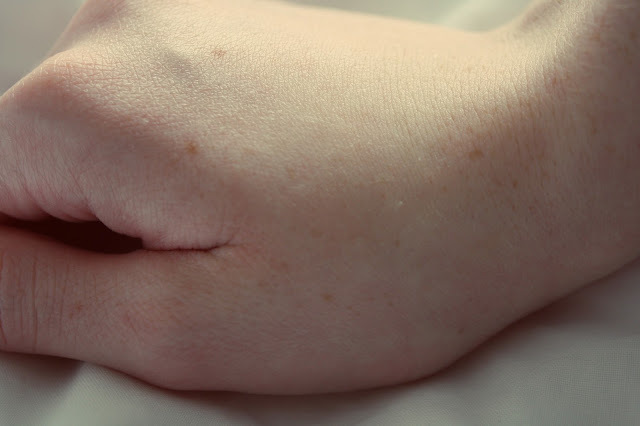 I know this probably sounds terrible, but it has only struck my attention recently that I haven't been giving my skin half as much care as I should do, and my pores have never been taken into account. As I've never really considered my pores, I hadn't even thought about purchasing a product like this, and since trying it, I can honestly say I've been missing out! At first, I thought that this product wasn't going to compliment my skin tone so well -- as you can see from my photos, the actual colour of the liquid is quite a dark tan colour (and I am incredibly pale!). However, much to my surprise, this blended in amazingly well, so much so that the colour is not at all noticeable (as shown in the last image). 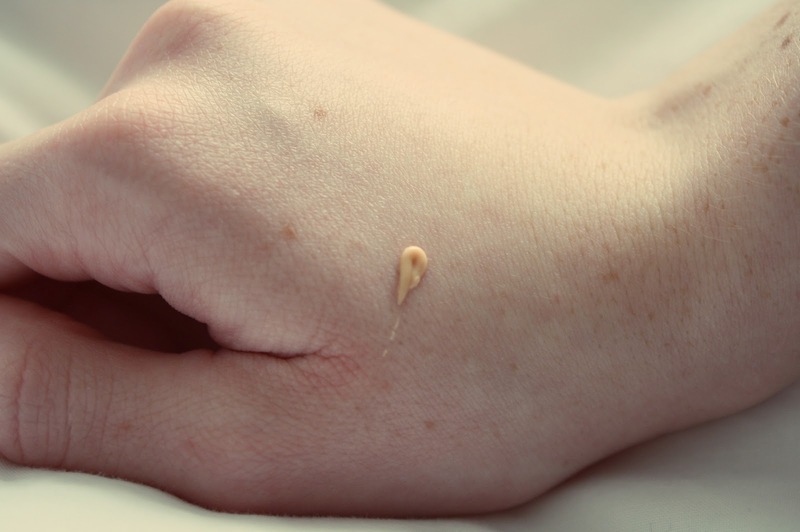 I watched a fair few youtube tutorials about how to apply this balm, just to ensure that I was using it appropriately -- I have only applied it to my hand to give you all a clear idea of how easily it blends into your skin. The main thing that I noticed was how incredibly smooth it left my skin feeling -- my skin hasn't ever felt so smooth from any other product! It also made my make up very easy to apply afterwards. What's more, you only need to use a very small amount for it to do the job. I think I should also add that I'm not very good with measurements, so I was slightly surprised when I discovered just how small the tube was in comparison to the box, thinking it would last me no time at all - but I was very wrong! A little certainly does go a long way with this product. After watching the youtube tutorials, I found that the best place for me to apply this balm is actually the areas where I am using my concealer at the moment (the area below my eyes/next to my nose and where my nose meets my forehead - these are the main places that my face needed this sort of treatment). It said on the packaging that you could use this product on top of your make up by giving it a dab over and that it would give your make up a slightly better hold. I did try this but when I started to dab it in, the balm removed some of my actual make up, so I haven't tried using the product that way since. I'm sticking to using the balm purely for my pores, before applying my make up, or even on days where I choose to let my skin breathe and go without foundation -- this has proven to be successful for my daily skin routine! As I am also yet to experiment with a primer, I would quite like to try out the Benefit 'That Gal' one too since my success with the pore minimiser. Did any of you purchase 'The POREfessional'? -- how did you find it? I have a sample of this, I can't wait to try it out! I love your nails btw! I love this product, I bought the full size tube as I have visible pores and I swear by it, I don't think it's the greatest primer though, I prefer to use 'that gal'!